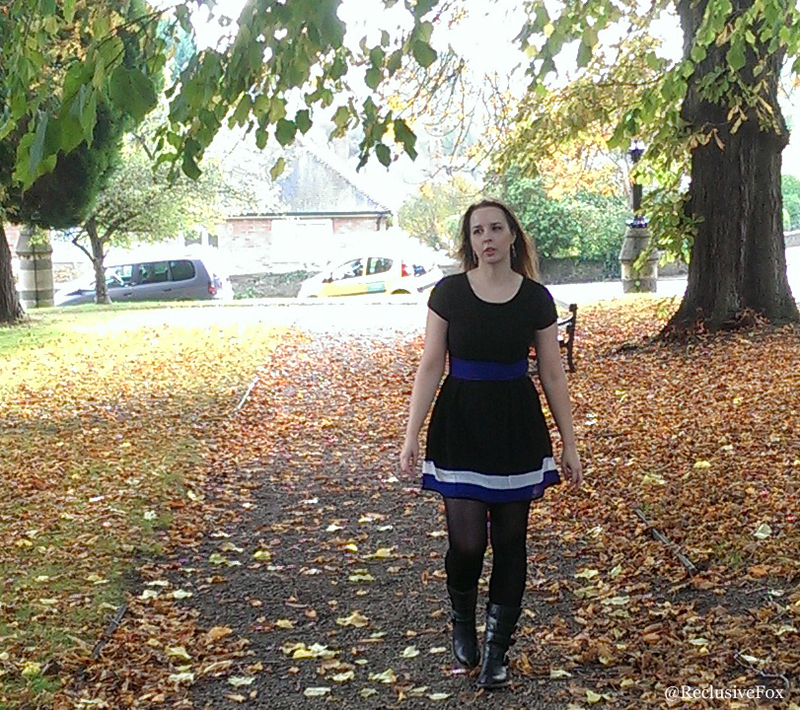 Autumn Sun - WalG Dress Review - Reclusive Fox ""
It’s been pouring with rain all week long and I was worried that I’d have to try and show you the gorgeous WalG Michaela Colour Block Chiffon Dress from inside my home. Thankfully today saw a break in the rain so I wasted no time to grab G, charge up the camera and head on out to find a suitable location. My choice was our local train station. I happen to love our train station, it’s historic, picturesque (in most places) and has a small town feel. 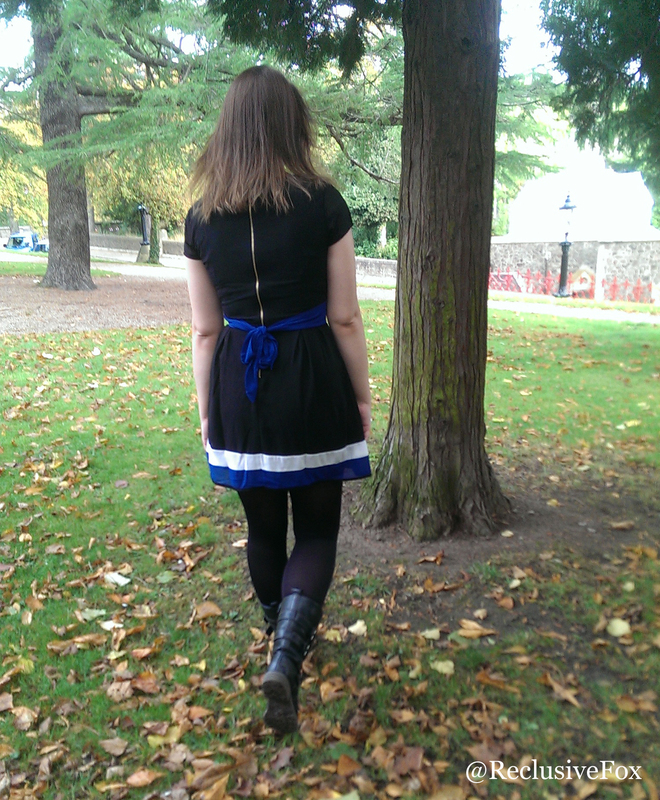 There were plenty of autumn leaves on the floor and while there was a hint of warmth in the sunshine the cool breeze meant I had to team up my colour block dress with a pair of tights and my favourite Clarks boots – best boots I ever did buy – and my Dorothy Perkins jacket. When you live in a hilly town like I do you have to own a practical pair of boots! 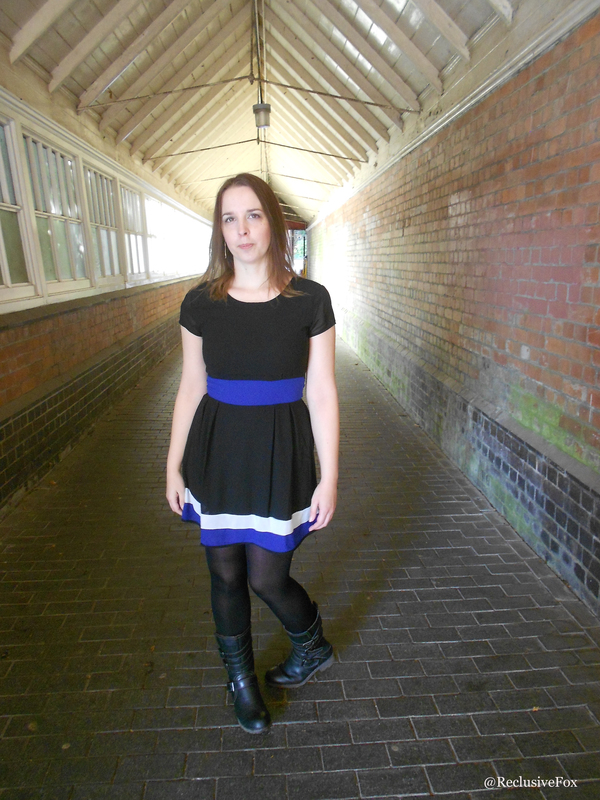 The dress is true to size, comfortable and has a great price tag of only £35. The cut of the dress is flattering, especially if you have curves like I do. The blue band cinches in the waist perfectly as it ties at the back, drawing the eye to the thinnest point before flaring out over the hips. The cap sleeves make it easy to wear for work and there’s an exposed zip on the back. I happen to love the look, it’s girlie but casual at the same time, making it the perfect dress. Sure, you can dress it up with some heels for a night out or choose some simple flats and wear it to work, but I love a dress that I can wear for any occasion. The WalG Michaela Colour Block Chiffon Dress is well made, it feels strong and the lining is comfortable against the skin. It’s made in the EU and the stitching seems up to scratch. The material is 100% polyester. This does mean it won’t wrinkle as easily (a definite positive if you have an iron allergy like me…) but it doesn’t allow the skin to breathe. If you have eczema the polyester could cause problems, which isn’t an issue for me but it’s worth a mention. I haven’t been able to wear my faux leather jacket until this week as the weather has been so good this summer. Not a bad thing of course but it feels so good to throw on my old faithful again. The jacket was perfect with this look, pulling it all together effortlessly. Now I am saving up for the real deal, what I would give for a real leather jacket! Wal-G have a great selection of gorgeous dresses perfect for the upcoming party season. You can also find plenty of other wardrobe essentials all in a contemporary style without a painful price tag attached. 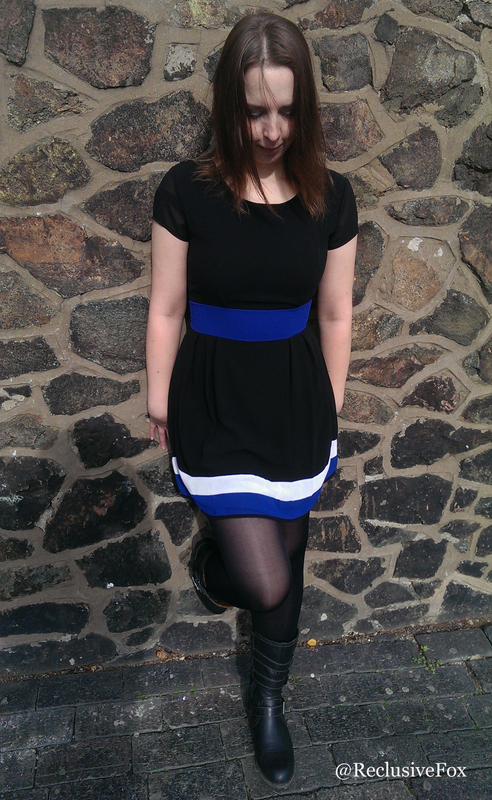 WalG kindly gifted me the Michaela Colour Block Chiffon Dress but all opinions are my own. That’s such a lovely dress, I love the blue band on it.